2008 Lemond Tourmalet (compact crank and Neuvation wheels added). Spending way more time on the Lemond this year. Mongoose Paver, Shared between me and father. It's a gradual progression to figure out what I like and what kind of pricepoint is optimum without diminishing returns of performance. I keep a spreadsheet to keep track of all the bikes I've owned. There are currently 12 bikes/frames in my garage, and we've had a total of 44 spend time in the garage over the past few years. Over 60 bikes owned over the last 20 years! Last edited by Eric S; 07-30-2009 at 07:48 AM. Just sold a Ridley Excalibur. It will be replaced with a cross bike ... unless something else catches my eye first. I've been living offshore for over 10 years and consequently acquired a number of bikes over that period of time. Selling some here and there. Whenever I return to the States, I will once again have to consolidate and reduce the collection, particularly if I retire and end up living in a smaller place. I'm moving to Singapore in September and will have to downsize the fleet again. The rest will get shipped back into Connecticut storage. Picking up a Specialized Secteur in a week or so which will be my winter roadie...... and yes I have a thing for Specialized bikes! Three functional bikes with desire for at least one more - a TI road bike. 4 '81 Raleigh road frame - my first quality bike and first frame-up build (when it was new). Three, but I only ride one of them. The trek still gets a lot of use around town. Next comes the allez, followed by the 29er. Think the vision will be mostly a parade bike. rode it the other day and it's fun but not as fast as they say. I have one more bike than what any one else has and they are all better than theirs. Man, we're such a self-spoiled bunch here...a bicycle is actually considered a 'luxury item" according to most accountants. 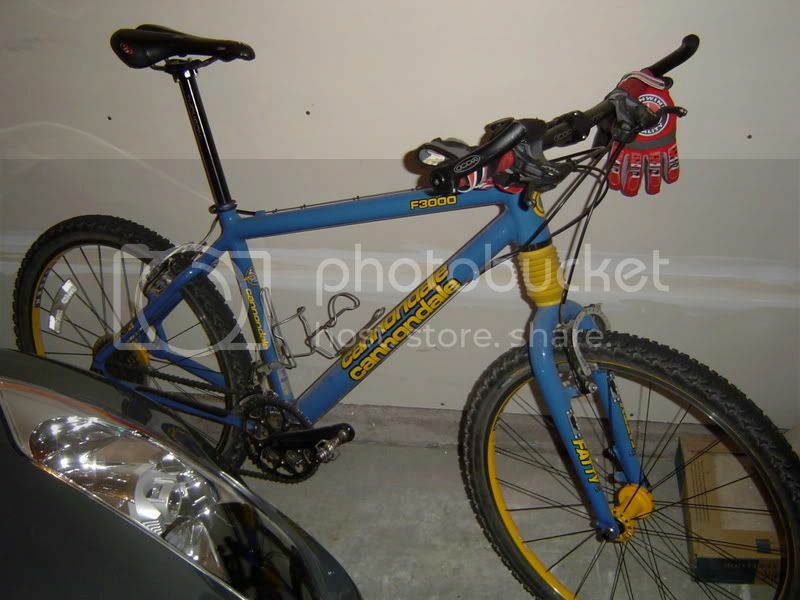 1) 2005 Cannondale F2000SL XC race hardtail - 19 pounds of billy goat on crack. 2) 2009 Cannondale CAAD 9 - Full 7700 Dura Ace, Mavic Aksium Race...16.5 lbs of pure pavement rocketry.